Best when you purchase the full version. Wish they had a way to save or pin favorite destinations on the map. Why have arrival times stopped working? The app used to show live arrival times of trains but now it just shows the static train schedule and it doesn’t update in real time. What the heck?? Excellent. Does exactly what it needs to plus a bit more. 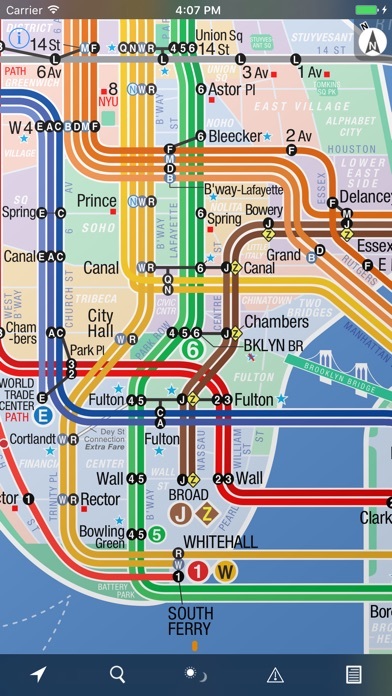 We all get a bit forgetful from time to time, and without updates of service changes and whatnot’s where would we be? The arrival times for this app work just well enough to get one feeling comfortable with it. Then it gives the correct time for a train arriving to a station but identifies the WRONG TRAIN. So it says there’s an E arriving to 23St in 10 mins. Oops, sorry, it’s an A! But don’t worry, an E is only 10min away. NOPE, it’s an A! 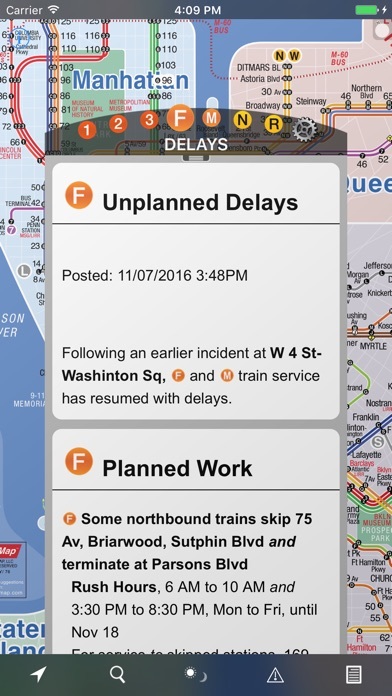 The MTA app got it right which is how I knew not to wait for the second “E” which was not on its way. So I exited and walked over to 6th ave where I caught the M and was late for work. 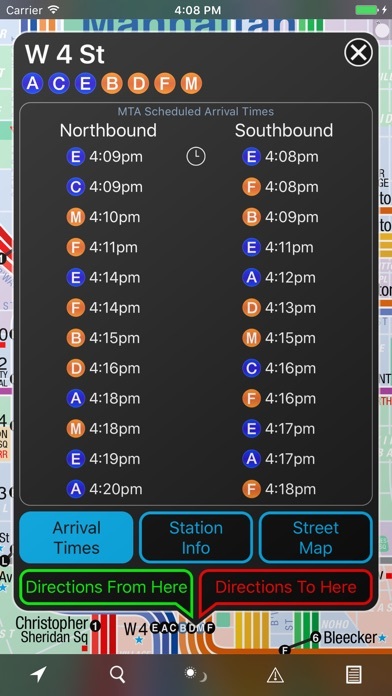 Stick with the MTA app for correct train arrival times. This app is fairly good as a general map. Another gripe - the different versions of the map - one for the day schedule and one for the night schedule - is a great idea but it might be early enough that the app still shows the night schedule but in fact the day trains have already started to run. 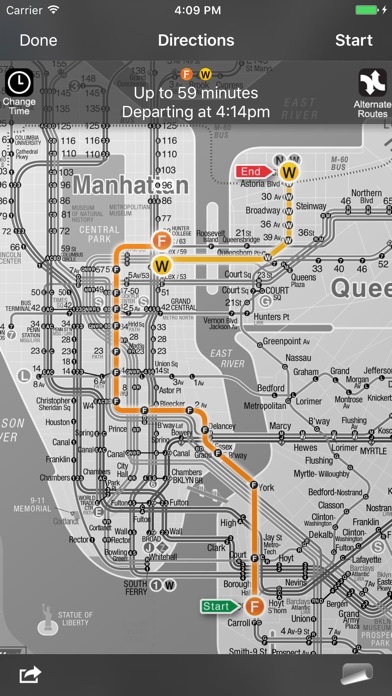 For instance with the above fiasco the night schedule was up and did not show the M train as an option for getting to the Court Sq stop in Queens. But the M trains WERE running which is how I ended up getting to work. Changing the detail of information provided as you zoom works flawlessly. 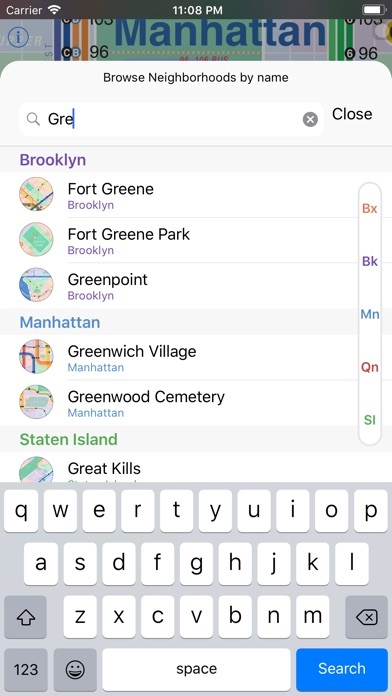 Wish it also had a (separate) bus map. It keeps up to date with trains scheduling. This map is the bomb! For a newcomer or NYC native alike, it's basic sly indispensable! Get it - great app.